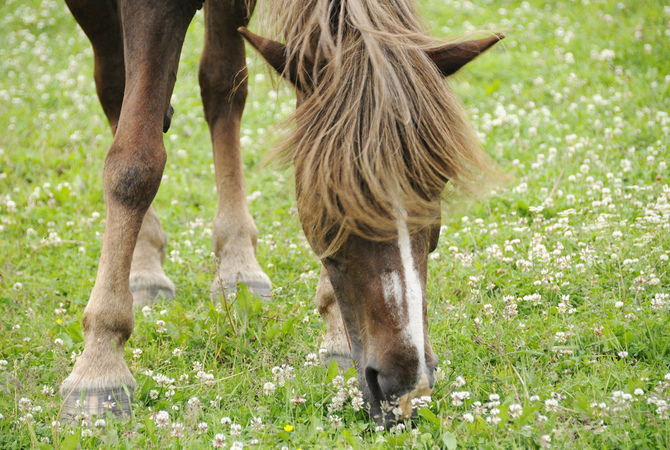 Everyone loves Spring, but as a horse owner you may be anxious about the possibility of pasture-associated laminitis (PAL) if you let your horse graze those tantalizing and luscious new growths of pasture. How great is the risk? Can you avoid it? It is very important for owners to understand what puts a horse at risk of pasture-associated laminitis or laminitis from an inappropriate diet. There are plenty of articles out there that warn about the dangers of high fructan in Spring pastures triggering laminitis. Many of them are written by people who want to sell you a product to control hind gut acidosis. They will tell you in the fructan theory that laminitis is caused by fermentation of fructans to lactate causing acidosis in the hind gut and damage to the lining, which allows entry of dangerous bacterial products into the blood stream. So far, so good. What they don't tell you is that this scenario has only occurred in an experimental setting with huge doses of 5 to 7.25 pounds of pure chicory root fructan given to horses by stomach tube in a single dose. Lower doses do not cause a problem and do not damage the intestinal lining. They also don't tell you that a horse with hind gut acidosis severe enough to damage the mucosa and cause laminitis would also be obviously ill with fever, septicemia, colic, and severe diarrhea. There's no such thing as a little bit septicemic. The dose of fructan matters. The horse's digestive tract can handle wide variations in pH without becoming damaged. There has never been a naturally occurring case of laminitis linked to pasture fructan levels. There's much more at stake here than wasting money on an inappropriate supplement. If you don't understand what is really the driving force behind PAL you may have a false sense of security, putting the horse or pony at risk. Pasture-associated laminitis has been studied by multiple researchers and the overwhelming conclusion is that it is related to elevated insulin levels in endocrine disorders, caused by the response to starch and/or sugar — not fructan. It is very important for owners to understand what puts a horse at risk of PAL or laminitis from an inappropriate diet, even with no pasture access. PAL is linked to elevated insulin responses. The classical appearance of a horse or pony at risk is one that is overweight with an obvious, fatty crest on the neck, but many metabolically abnormal horses have a normal weight. A horse that is older may also develop Pituitary Pars Intermedia Dysfunction (PPID/Cushing’s disease) and change from one that always tolerated pasture well to one that is now at risk of laminitis. If you suspect your horse is at risk, speak with your veterinarian and pursue testing. For further details, visit http://www.ecirhorse.org. Started in 1999, the ECIR Group is the largest field-trial database for PPID and EMS in the world and provides the latest research, diagnosis, and treatment information, in addition to dietary recommendations for horses with these conditions. Even universities do not and cannot compile and follow long term as many in-depth case histories of PPID/EMS horses as the ECIR Group. In 2013 the Equine Cushing's and Insulin Resistance Group Inc., an Arizona nonprofit corporation, was approved as a 501(c)3 public charity. Tax deductible contributions and grants support ongoing research, education, and awareness of Equine Cushing's Disease/PPID and EMS. 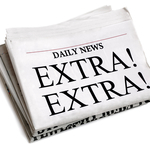 Press release provided by ECIR Group Inc.